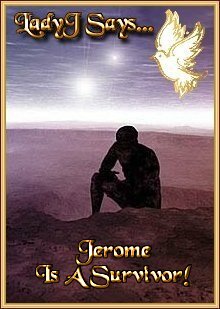 Jerome L. Goolsby entered this world December 11, 1956, the eldest child of six. He is a native of Saint Joseph, Missouri, the eastern terminus for the Pony Express, which ran from April 3, 1860 until October, 1861 making legends of men like "Buffalo Bill" Cody. St. Joseph, Missouri, is also the site where the notorious outlaw, Jesse James, met his end on April 3, 1882, when he was murdered by one of his gang members in his home in Saint Joseph, Missouri. Mr. Goolsby graduated from Lafayette High School in Saint Joseph in June 1975 as a four - time letterman student trainer for football and basketball. For his student activities and scholarship, Mr. Goolsby was rewarded with listings in Who's Who Among American High School Students, 1973-74 and Who's Who Among American High School Students, 1974-75 . On 13 November 1975 Mr. Goolsby entered the United States Air Force. After completing basic training at Lackland Air Force Base, Texas, and initial training at the 3411th Student Training Squadron, Air Training Command, Keesler Air Force Base, Mississippi, in ground radio operations, Airman Goolsby was assigned to the 90th Communications Squadron, 90th Strategic Missile Wing, 4th Air Division, 15th Air Force, Strategic Air Command, Francis E. Warren Air Force Base, Wyoming, on 1 May 1976. On 1 March 1978, Airman First Class Goolsby was reassigned to Operating Location Delta, Detachment 12, 2140th Communications Group, Air Force Communications Service, United States Air Forces in Europe, Drama, Greece. During this assignment he was able to tour Athens, Greece and was awarded the Air Force Good Conduct Medal. Upon completing his tour in Greece, Senior Airman Goolsby was ordered to report to the 33rd Communications Group, Air Force Communications Command, 22nd Bombardment Wing (Heavy), 15th Air Force, Strategic Air Command, March Air Force Base, California. During this assignment Sergeant Goolsby was awarded the Humanitarian Service Medal for assisting victims in the San Bernadino Flood and Mud Slide Disaster in California from 8 February 1980 to 15 March 1980. On 30 June 1980, Sergeant Goolsby was ordered to duty with Detachment 5, 1st Aerospace Communications Group, Air Force Communications Command, Strategic Air Command, Westover Air Force Base, Massachusetts. During this assignment, Staff Sergeant Goolsby graduated from the Command Non-Commissioned Officer (NCO) Academy Correspondence Program through Air University, Air Training Command and completed the Air Force Communications Command NCO Leadership School program. He was also awarded his second Air Force Good Conduct Medal and received his first Air Force Outstanding Unit Award on 31 December 1982. On 8 May 1983, Staff Sergeant Goolsby was reassigned to 1936th Communications Squadron, Air Force Communications Command, 1605th Military Airlift Support Wing, Military Airlift Command, Lajes Field, Azores. On 9 July 1984, Staff Sergeant Goolsby was reassigned to Operation Location Alpha, 47th Communications Group, Air Force Communications Command, North American Aerospace Defense Command, Lamar Communications Complex, Colorado. During this assignment, he was awarded his third Air Force Good Conduct Medal . When this operation was deactivated in 1985, he was ordered to duty with the 2001st Communications Squadron, Air Force Communications Command, 410th Bombardment Wing (Heavy), 40th Air Division, 8th Air Force, Strategic Air Command, K.I. Sawyer Air Force Base, Michigan. During this tour of duty, Staff Sergeant Goolsby graduated from the Community College of the Air Force on 22 January 1987 with a Associate in Applied Science Degree in Communications Technology, was awarded the Air Force Achievement Medal and his fourth Air Force Good Conduct Medal . He was also awarded his second Air Force Outstanding Unit Award on 30 June 1987. On 30 October 1988, Staff Sergeant Goolsby was ordered to return for another tour of duty with the 1936th Communications Squadron, Air Force Communications Command, 1605th Military Airlift Support Wing, Military Airlift Command, Lajes Field, Azores. 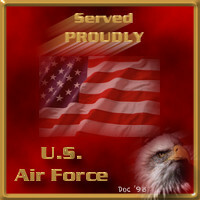 During this assignment, he received his third Air Force Outstanding Unit Award on 4 April 1990. On completion of his tour on 5 April 1990, Staff Sergeant Goolsby was assigned to the 2145th Communications Group, Air Force Communications Command (in support of Strategic Air Command), 89th Military Airlift Wing, 21st Air Force, Military Airlift Command, Andrews Air Force Base, Maryland. After a successful tour of duty which saw him graduate from the University of Maryland University College with an Associate in Arts degree on 27 May 1990, be named Shift Supervisor of the Year for the Andrews AFB Strategic Air Command GIANT TALK HF Radio Station for 1991, be promoted to Technical Sergeant on 1 August 1991 and be awarded his fourth Air Force Outstanding Unit Award on 30 June 1992 and his fifth Air Force Outstanding Unit Award on 30 June 1994, the Air Force Commendation Medal , the National Defense Service Medal , and for the fifth and sixth time the Air Force Good Conduct Medal, Technical Sergeant Goolsby, now assigned to the 789th Communications Squadron, 89th Communications Group, 89th Airlift Wing, 21st Air Force, Air Mobility Command, Andrews Air Force Base, Maryland, retired from the United States Air Force on 1 February 1995 and was given his second Air Force Commendation Medal. On 27 May 2014, the Secretary of The Air Force approved a proposal that created the Nuclear Deterrence Operations Service Medal to recognize direct support to nuclear deterrence operations. The medal is authorized for Airmen who have directly impacted the nuclear enterprise and may be awarded retroactively to Dec. 27, 1991 to fully qualified Airmen. A review of TSgt Goolsby's military personnel record was requested on 15 April 2016 to determine if he was qualified to recieve the award. After a thorough review of TSgt Goolsby's record was conducted by Headquarters, Air Force Personnel Center, TSgt Goolsby was verified as qualifed to recieve the Nuclear Deterrence Operations Service Medal with "N" device for service in direct support to USAF nuclear deterrence operations from 27 December 1991 to 29 January 1994. Mr. Goolsby returned to Saint Joseph, Missouri, and he worked at the Pony Express Museum and St. Joseph Museum. After a temporary move to Portage, Michigan, Mr. Goolsby returned to Saint Joseph and enrolled in Missouri Western State College. During his time in that institution he was placed on the Dean's List in 1998 and 2000 and was given a Scholastic Certificate Award from the Dean of Liberal Arts and Sciences. He was inducted into the Omicron Psi Honor Society in 1999 and completed a Bachelor of Science Degree in Communications/Public Relations in 2001. In 2006 he graduated from Park University with Master's Degree in Public Administration. On October 19, 2009, he was appointed by Saint Joseph Mayor Ken Shearin to serve on the City of Saint Joseph, Missouri Planning Commission where he served until June 24, 2011. On January 11, 2010, he was appointed by Saint Joseph City Council to serve on the City of Saint Joseph, Missouri Museum Oversight Board where he served until June 9, 2011. Mr. Goolsby has long championed and shown by example the need for fulfilling the duties of citizenship through volunteerism and support of civic institutions. He was awarded 40-year Veteran status by the National Headquarters of the Boy Scouts of America (BSA)in November 2014. He has been awarded the Arrow of Light, was a Life Scout, and is an Honorary Warrior in the Tribe of Mic-O-Say . Thanks to his military career, Mr. Goolsby was able to work with numerous BSA councils including the Long's Peak Council, Inland Empire Council, Direct Service Council, Rocky Mountain Council, Hiawathaland Council, and National Capital Area Council. Mr. Goolsby was awarded the Boy Scout Leader's Training Award in January 1993, and was selected for the staff of the 1993 National Scout Jamboree receiving a commendation for his service. He was also selected to the staff of the 1997 National Scout Jamboree but was unable to attend. Mr.Goolsby was awarded the Commissioner's Arrowhead Honor on 10 June 1997, and the Commissioner's Key in 1998. He served as Unit Commissioner in the Pony Express Council and has served on the Pony Express Council Relationships Committee, representing The American Legion since September 2009. Always interested in sports, Mr. Goolsby has received the Presidential Sports Award for Bowling, Sports and Fitness, Softball, and other activities. Mr. Goolsby is a member of The American Legion. . 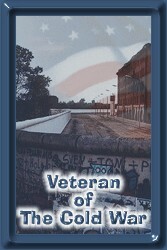 He first became a member of American Legion Post 297, Department of Maryland, from 1993 - 1995. Mr. Goolsby then transferred to American Legion Pony Express Post 359, Department of Missouri, where he served the Post as Historian in 1995 - 1996, 1997 - 1998, 2009 and 2017 - 2019, as 1st Vice Commander for 1998 - 2000 and as Adjutant for 2000 - 2008 and 2009 - 2019 and was selected as Commander for 2017 - 2019; Mr. Goolsby has also served in the Department of Missouri's 4th District as Historian for 1998 - 2000 and 2011 - 2018, Boy Scout Chairman from 1998 - 2008, Southern Vice Commander for 2000 - 2002, Adjutant from 2009 - 2014 and as District Commander from 2002 - 2004, 2006 - 2008,2012 - 2014 and 2016 - 2018. 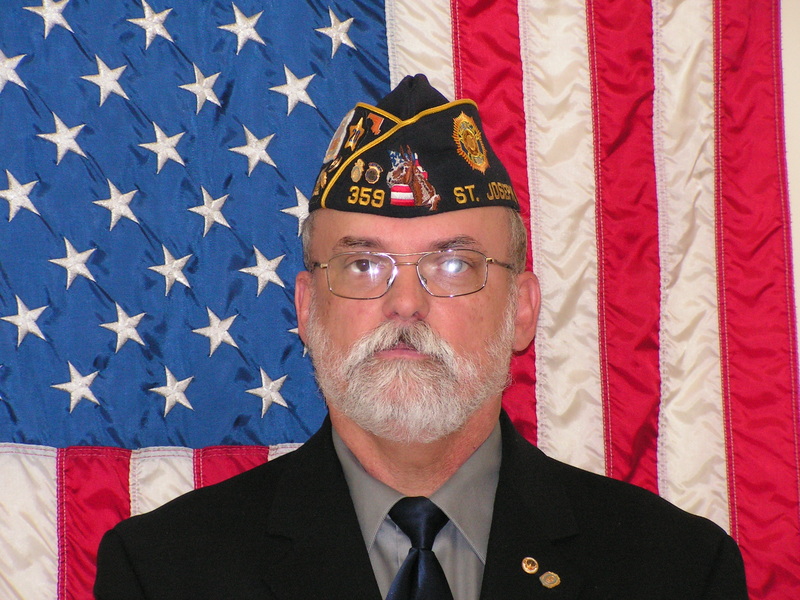 Mr. Goolsby also served as Zone II Vice Commander for the American Legion Department of Missouri for 2004 - 2005, as Department Historian for 2018 - 2019 and is currently chairman of the Department's Boy Scouts Committee, a position he has held since 2014. Mr. Goolsby was recognized with with first place in the Department Narrative History Book Competition in 2012, 2013, 2014, 2015, 2016, 2017 and 2018 and with the Second Award in The American Legion National Narrative History Book Competition in 2012 and 2015 and First Award in 2013, 2014, 2016 and 2017. Mr. Goolsby was honored as a Distinguished Legionnaire of The American Legion Department of Missouri in 2015. Mr. Goolsby is also a member of the Sons of The American Legion Squadron 359, Detachment of Missouri where he has served as the Squadron Commander from 1998 - 2001, 2002 - 2008, 2009 - 2011 and 2015 - 2019, as Squadron 1st Vice Commander for 2012 - 2015, as Squadron Adjutant for 2001 - 2007 and as Squadron Historian for 2011 - 2019; he has also served as Western Vice Commander for the S.A.L. Detachment of Missouri for 1999 - 2001 and as Assistant Adjutant for 2009 - 2010. He was honored with a distinguished service award by the National Commander of The Sons of The American Legion at the 2008 S.A.L. National Convention. 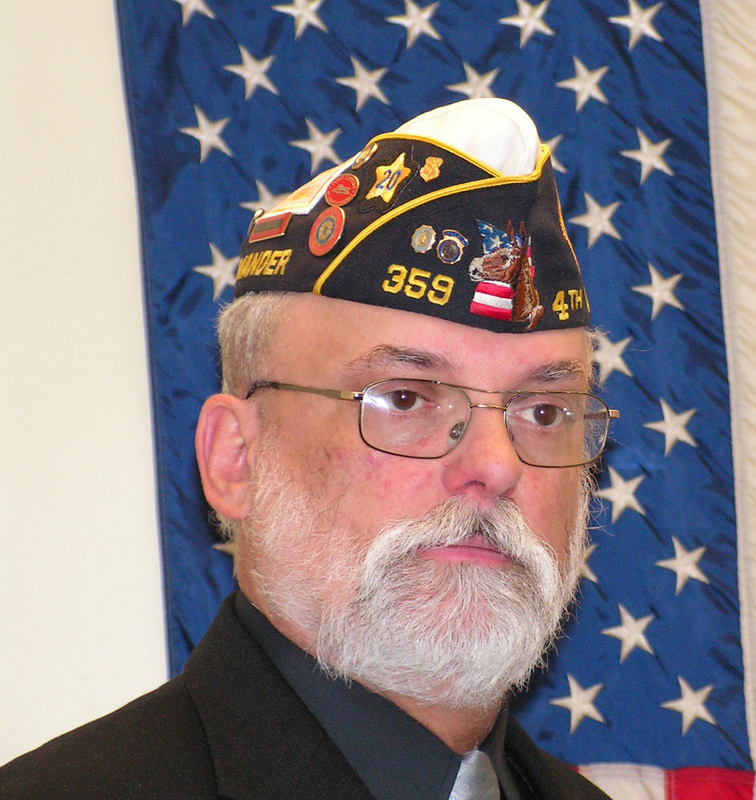 Mr. Goolsby became a member of AMVETS (or American Veterans) in 2015, joining Massachusetts Post 12 in Chicopee, Massachusetts. Mr. Goolsby became a Life Member of DISABLED AMERICAN VETERANS (or DAV) in 2017, joining Westover Post 11 in Chicopee, Massachusetts. 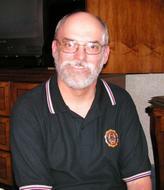 Mr. Goolsby also served as Chairman of the Joint Veteran's Committee of Saint Joseph, Missouri for 1999 - 2000. Shareholder, Green Bay Packers, Inc.
Jerome L. Goolsby's vital statistics are: 6' tall, 200 pounds, gray hair (bald on top), beard, moustache and brown eyes. What It Takes To Be #1: Vince Lombardi on Leadership - Vince Lombardi, Jr.
Sports: I participate in bowling (winning several minor awards) and golf from time to time. I also enjoy baseball, football and NASCAR, IRL and Formula 1 auto racing. If you have any other questions, you can e-mail me at jeromeg111@yahoo.com . To return to my home page, just click here.